There are people who say cold calling is dead, and others who hate it. But still, no one has given up on it as yet. That’s because cold calling works and it’s far more cost-effective than trying to generate warm leads. What I’m going to do with this post is to share with you the top 10 most efficient cold calling tips that will help you generate more leads and sales without having to go through the steep learning curve that seasoned sales representatives have already gone through. According to sales acceleration expert Jeb Blount, you need to block time for your prospecting at a specific time each day. If you follow this practice, you’ll be able to generate enough leads to keep you busy all day with follow-ups and other sales activities. Before you start making the calls, it’s always a good idea to prepare and collect as much information as you can about your prospects. Cold calling guru Art Sobczak says that the one thing you need to have in place is intelligence about the person and organization you are calling so that you can customize your message. The reasons for cold calling differ based on the company you are calling. I have called both B2B and B2C companies in vastly different industries, and each one needs a very different approach to cold calling. With B2B, you’re usually trying to get a meeting. With B2C, you want to focus on selling. Targeting the right buyer persona is key to increasing your lead generation and conversion rates. Calling people and companies who don’t need what you’re selling is a bit pointless, even if it helps you make the number of calls you’re expected to. With a cold call, you have very little chance of success if you don’t reach the right person. Calling the front desk or just asking for someone in the purchasing department rarely helps you close a sale, especially with B2B. What you need to do is put in some time into researching exactly who can make the decision to buy, and call them up directly. It’s a lot easier to make the volume of calls you need to reach your target if you are using the right equipment. 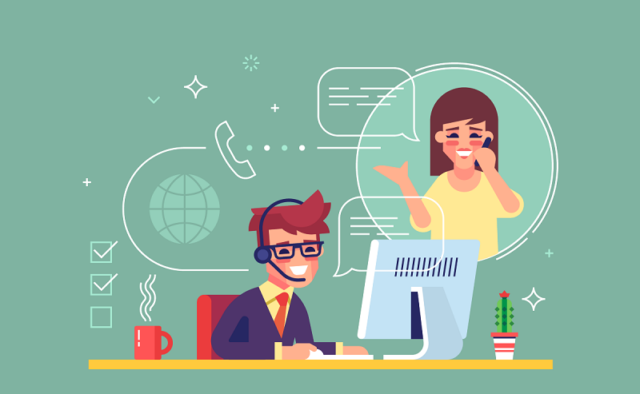 If you’re setting up a call center, you need a CRM with a sales dialer that makes it easy for your reps to open up information about the prospect and make a call. Provide those headsets and all the other equipment they need. People in Sales hate cold calling because it rarely works in the first call. You have to make between 5-8 follow-ups to close a lead. Mark Hunter aka The Sales Hunter says that you should never expect one call to be all that’s needed, and always aim for learning something during a call that will allow you to have another call with the lead. One of the biggest hurdles in outbound call operations is that you’re fresh inside sales reps are scared to ask their prospects to buy. Claude Whitacre, an author of One Call Closing, says that No doesn’t necessarily mean No because people buy – you just have to get over the fear of asking them to buy. The reason you fear making cold calls is that of the likelihood of rejection. Don’t take it personally. Listen to calls being made by experienced reps, and get it into your mind that the people you are calling will buy, and it happens often. Instead of launching straight into your sales pitch, the call may be more productive if you listen to what the person you are calling is saying. If you find out more about them and what they need, it might be easier to pitch your product as something that will help them fulfill that need, as opposed to convincing them to buy a product for reasons that they are not interested in.